(W) Phil Hester (A) Sheldon Mitchell (C) Rafael Albuquerque ALKONOST: Part 2 (of 2)-In the hunt for The Sovereign Jackie and crew strike a deal with an insane Russian mobster and collector of the occult, but his supernatural enforcer wants to add a Darkness wielder to the collection. What is The Alkonost and how does it control even The Darkness itself? 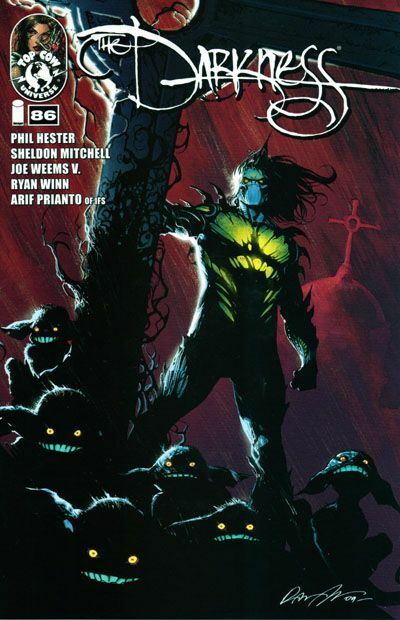 Top Cow Pit artist Sheldon Mitchell (Pilot Season: Stealth) joins regular writer Phil Hester (Gen13, The Anchor) for a sinister two-part story. Featuring a cover by Rafael Albuquerque (American Vampire)!